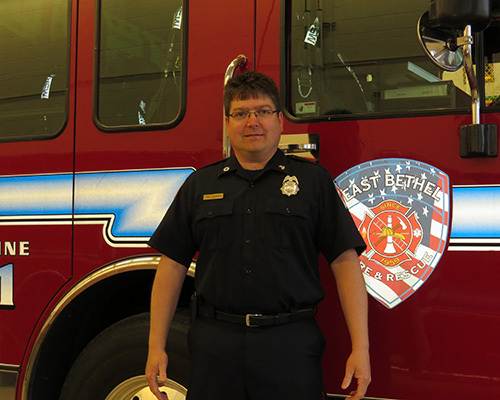 Troy Lachinski - Advanced First Aid, Inc.
I’m a Firefighter and Emergency First Responder for the city of East Bethel, have been for over a decade. 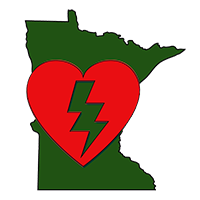 As a EMR, I have seen firsthand the devastating effects of Sudden Cardiac Arrest. As a result, I became a CPR & AED community outreach training instructor for Heart Safe Communities, city of East Bethel. Since then, this St. Cloud State University graduate has become self-proclaimed AED Nerd. As a nerd, I’m always paying attention. Whenever I am out and about I seek out AED’s and inspect them to make sure they are up to date and in working order. You might be surprised of how many are not in working order and the owner has no idea. I know AED’s inside and out and can help you decide what AED is best for your home or business. I have been working as an AFA sales rep since 2016. I took on this position after working with AFA-Paul Mendoza the previous two years while he advised me how to champion the East Bethel Heart Safe program. As the Champion of Heart Safe East Bethel, over 4000 citizens have been trained in Bystander CPR and AED and many AED’s have been either implemented, and/or located and updated, ready for an emergency. The fruits of our labor has positive results: survivors. I have worked side by side with several SCA survivors within the Heart Safe Program. Their survival stories are remarkable and drive me to work harder, to train more citizens and get more public access AEDs in our community. It is my passion to give citizens, groups and businesses the skills and tools to “Be the Help” in the event of SCA, vs. waiting for the help (911). I welcome the opportunity to discuss your needs and find the solution. © 2018 Advanced First Aid, Inc. All Rights Reserved.